Bollinger Bands® is a technical trading tool that was created by John Bollinger, based on Standard Deviation. The purpose of Bollinger Bands® is to provide a definition of high and low price ranges, relative to price volatility. By definition if the price rises above the upper Bollinger Band® line then the price is considered to be at a high, and if the price falls below the lower Bollinger Band®, the price is consider to be at a low. In times of high price volatility the distance between the upper and the lower Bollinger Bands® increases and in times of low volatility the distance between the Bollinger Bands® decreases. The distance between the upper and lower bands is determined by the standard deviation of the same data that is used for the moving average. 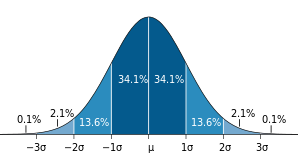 The default parameters are 20 interval periods and 2 standard deviations, which can be adjusted to suit your purposes. The Bollinger Bands® are based on the range of price movement relative to the Moving Average. The number of periods associated with the Bollinger Band®, are used to calculate the moving average, and the number of deviations is used to calculate the upper and lower band relative to the moving average. For example if the interval is set to 2 hours and the number of periods associated with the Bollinger Band® is set to 20, then the Bollinger Band® is based on the moving average of the price at 2 hour intervals, over 20 interval periods i.e. 40 hours. The prices at each interval for the defined number of periods are used to determine the deviation values. One standard deviation represents 68.2% of the range of price movement relative to the moving average; two standard deviations represent 95.4% of the price movement relative to the moving average and therefore only excludes the extreme highs and lows during the period; three standard deviations represents 99.6% of the price movement. Typically the Bollinger Band® is based on two standard deviations. By increasing the default periods used to calculate the Bollinger Bands, it makes the trading range less sensitive to short term price fluctuations. 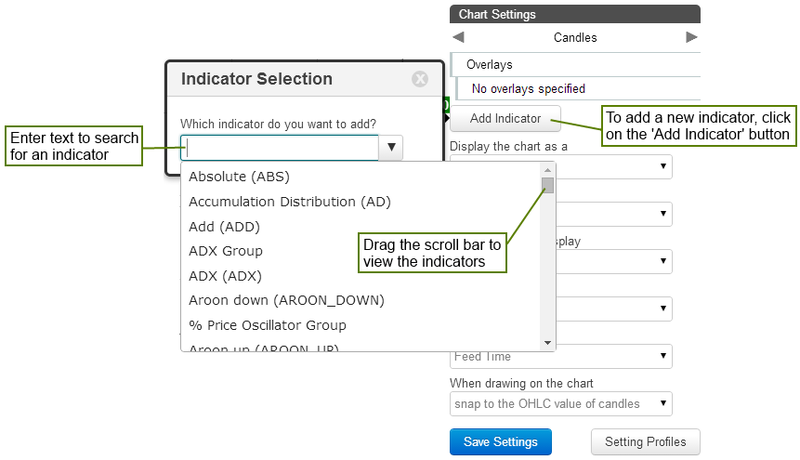 After adding the Bollinger Band indicator, within the chart settings, click on it to set the parameters and change colours.